We offer sales for the full line of Lanier office Equipment. Maintenance and repair for Lanier, Ricoh or Savin copiers, printers and fax machines. Our team specializes in fixing and maintaining your office equipment. 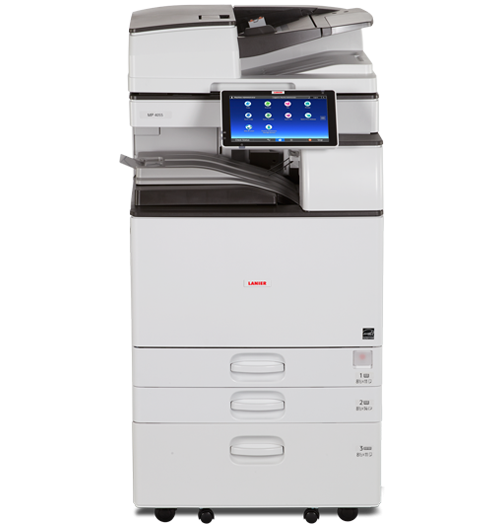 We can provide repairs for your copier, printer or fax, that you are having issues with. Speedy and quality focused repairs at fair a price. Whatever the task, we will do our best to get you back up and running. We offer software solutions that work in conjunction with our digital multifunction machines, to make your work environment run smoother. We offer a full line of supplies and accessories for your Lanier, Ricoh & Savin equipment at an affordable price. Contact us today and let us know what is wrong with your equipment, we will ask you a series of questions to help understand what needs to be done to fix the issues you are experiencing. We will visit your office or home office location for rapid diagnostics and repair, if you prefer you can come to our location. We work with leading manufactures and products listed below.